Tsubasa Ozora is an 11-year-old elementary school student who is deeply in love with football and dreams of one day winning the FIFA World Cup for Japan. He lives together with his mother in Japan, while his father is a seafaring captain who travels around the world. 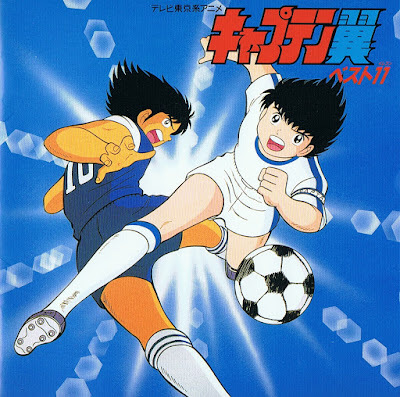 Tsubasa Ozora is known as the Soccer no Moshigo which translates as "heaven-sent child of football". When he was only barely a year old, he was almost run over by a rushing bus while playing with a football. However, Tsubasa held the ball in front of him which served as a cushion for most of the impact. The force of the bump blew him away, but he was able to right himself with the ball. Hence, Tsubasa Ozora's motto of "The ball is my friend". Ever since he was little, he always went out with a football. His mother concludes that he was indeed born only to play football. At a very young age, Tsubasa Ozora already has amazing speed, stamina, dribbling skills and shotpower, astounding anyone who sees him play.